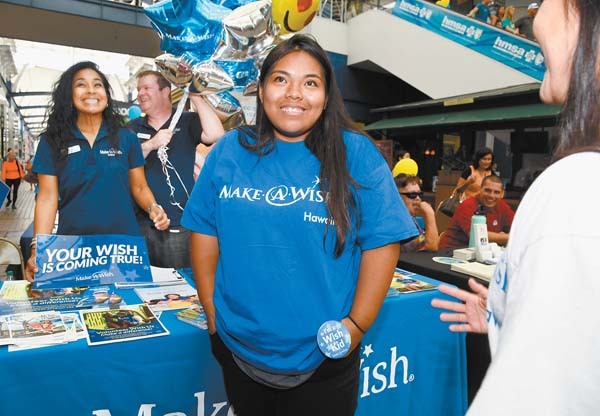 Kelcie Rivera, 14, is the center of attention at Queen Ka’ahumanu Center on Saturday afternoon as she is surrounded by staffers and volunteers from Make A Wish Hawaii. The Baldwin High School sophomore had her wish granted with a shopping spree at the center. Also pictured are Make a Wish Hawaii Wish coordinator Jennifer Canaya-Michel (from left), outreach manager Will Phelps and volunteer Jen McNeff. 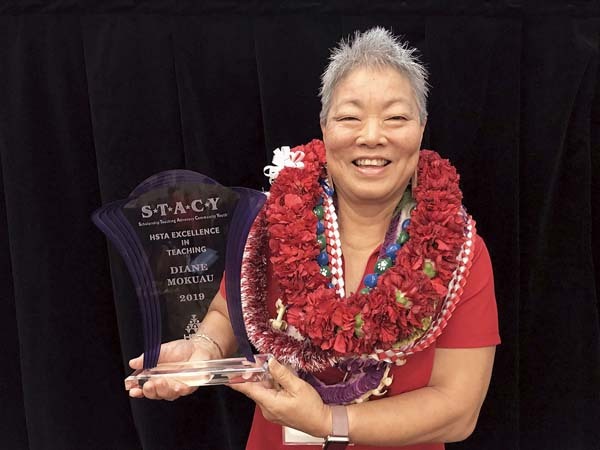 Helping put the “spree” in shopping were: Queen Ka’ahumanu Center, Koho Grill & Bar, Macy’s, Forever 21, Jeans Warehouse, Beautiful Nails, Starbucks and Sprint. Miguel holds the championship plaque. Salient’s crew poses for a photo after arriving.